Problems with allergies? Consider these flooring options. Top indoor allergens are dust, mold and mildew - all of which are common problems for homeowners, especially homeowners with lots of wall-to-wall carpet. Carpet traps these allergens and can literally make your home feel like a torture chamber for those with allergies. If you or someone in your home has a problem with allergies, take a hard look at your floor... literally! Hard surface flooring such as wood, tile and luxury vinyl are excellent choices for homes with allergy sufferers. Why choose a hard surface floor? Easy to clean and keep dust-free. You'll know if the floor needs dusting because you'll be able to see the dust. No fibers to trap dust, dust mites, mold spores or other allergy triggers. Long-lasting so you won't need to replace it as often as carpet. While carpet typically lasts 15 years or more, those with allergies often need to replace it more often. Aside from those practical benefits, hard surface floors are so versatile that you can find one to match any decor. There are few flooring options available with as many design options as porcelain tile. You can choose a porcelain floor that looks like granite, limestone or other natural stone tiles. You can even find tile that looks like natural hardwood wood. Manufacturers are starting to really have fun with porcelain tile offering designs that look like leather, fabric and even animal prints - all with the durability and easy maintenance of tile. Resilient flooring is a type of luxury vinyl created using high-definition printing so that it has a highly authentic appearance of either stone, ceramic or wood. As an added bonus resilient floors also hide imperfections in subfloors and are 100% waterproof. Extremely durable, easy to clean and waterproof, luxury vinyl is the perfect floor for any room in your house. It’s particularly popular for basements, kitchens and bathrooms. Hard surface floors are growing in popularity because of their many design options. That's a big bonus for allergy sufferers. 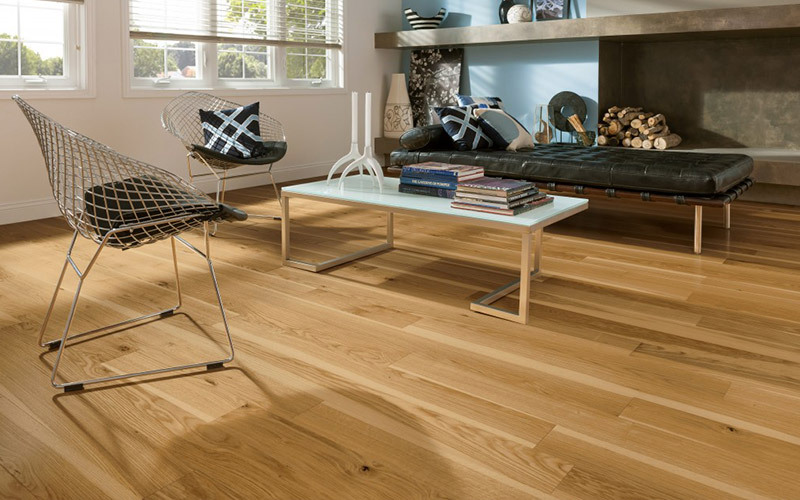 Now you can have a beautiful floor that helps you keep allergy issues in check.